As Senior Manager, Ms. Bradford works closely on the development and implementation of accounting policies, procedures and internal controls, lease administration, and systems administration. 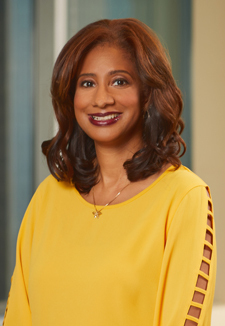 Prior to joining Coretrust, Ms. Bradford served as both an Accounting Manager and Controller at CBRE, Inc. for nine years. In these roles, she was responsible for financial reporting, REIT compliance, annual audits and tax returns, SOX compliance, debt compliance, due diligence for property acquisitions and dispositions, and investor reporting related to U.S. and foreign investment funds. Prior to joining CBRE, Inc., Ms. Bradford worked as an Accounting Manager and Lease Administration Associate for Maguire Partners, a publicly traded company invested in Class A office properties. Ms. Bradford started her career at Arthur Andersen assigned to audit engagements for private and public corporations. Ms. Bradford is a Certified Public Accountant (active) and has her State of California Real Estate License. She holds a Bachelor of Science degree in Accounting from California State University, Northridge.